Guilin is renowned for its picturesque mountains, clear water, karst mountains and beautiful caves! 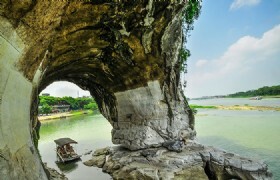 On this 6 days tour of Guilin, you will not miss any of famous sightseeing attractions! 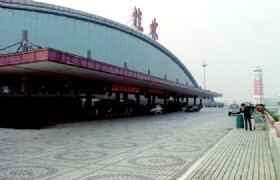 Detailed Itinerary: Upon your arrival, your guide will pick up you at Guilin Liangjiang International Airport. 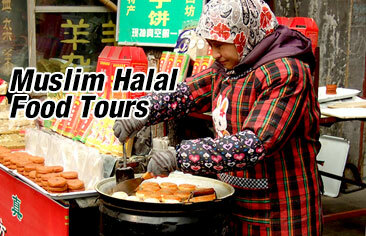 After lunch you will visitGuilin Chongshan Mosque. You will then start your tour firstly visiting Elephant Trunk Hill then continue to visit Fubo Hill. Later you will check in to your hotel. Guilin Chongshan Mosque: Chongshan Mosque is an ancient Chinese Islam mosque. According to the record of history documents, Chongshan Mosque was built in the late reign of Yongzheng Emperor in Qing Dynasty (1735 A.D.), later, during the reign of Jiaqing and Daoguang emperor, and In Republic Period, it also been expand and rebuilt. Elephant Trunk Hill: It looks like an Elephant, dipping its snout into the Li River, hence the name “Elephant Trunk Hill”. 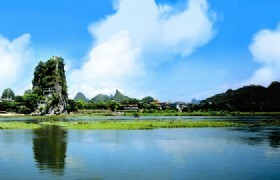 This sight is a representative of the landscape around Guilin and is a city symbol of Guilin. Fubo Hill: The unique shape and interesting sights of Fubo Hill makes it famous in Guilin. 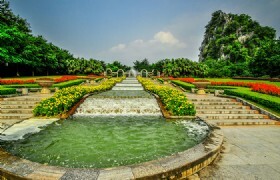 Guilin Fubo Hill is actually an integrative garden park in the center of city. 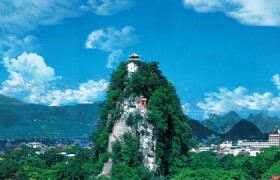 Detailed Itinerary: Today we will transfer you to Yangshuo, along the way you will visit Shangri-La. 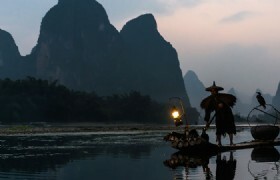 You will proceed to Yangshuo by coach, where you will enjoy the Li River Cruise (Fuli Highlights). After strolling the famous West Street, you will check in to your hotel. 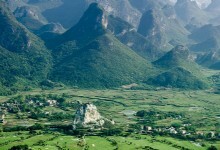 Shangri-la Yangshuo It is an area within mountains, caves, bridges, rivers, houses and people who practice delightfull local customs, a place that with giver you and everlasting memories. Li River: The picturesque landscape scenery in Guilin will be the indispensable memory if you choose to have this cruise. 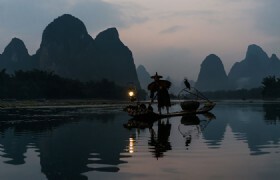 The Li River is praised as the No. 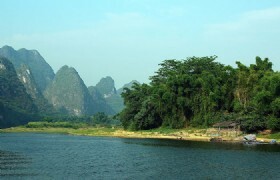 1 of Guilin Landscape among all the waters and mountain in the world. 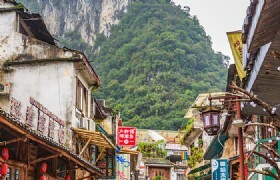 West Street: Yangshuo West Street lies in the center of Yangshuo County. It is 517 meters long and 8 meters wide. The street is paved with marble and takes an “S”shape. Buildings here are in ancient style with special local flavor. 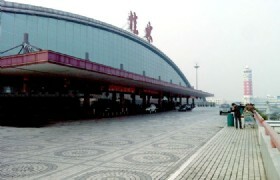 Besides, tourists can buy various souvenirs and delicacies here. Detailed Itinerary: After breakfast at your hotel you will be transferred back to Guilin to visit Seven Star Park, Camel Hilland Maping Mosque. You will continue your tour to Jinjiang Prince City and Solitary Beauty Peak. You will be free tonight for shopping at Guilin Xicheng Road Night Market. Seven Star Park: Seven Star Park occupies more than 40 hectares, which is the largest, most beautiful multiple park in Guilin. Maping Mosque: Maping mosque is located inside the seven star park, under the camel mountain. It was built in 1672 A.D during Kangxi emperor period. 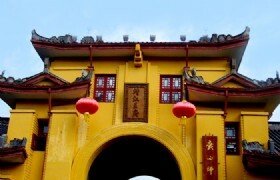 It’s a palace style courtyard structure; the main hall can accommodate 500 people gathering for ceremony. Jingjiang Palace: It is the largest king mausoleum in China. Solitary Beauty Peak: When bathed in the dawn sunshine or afterglow, the peak seems to be wearing a purple gown and a golden belt, which is the origin of its other name 'Purple Golden Hill'. 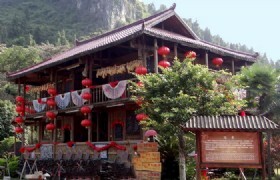 Detailed Itinerary: After breakfast at your hotel, you will take a tour to Yao Mountain by cable car (round trip). Then you will visit Liu Sanjie Grand Park where you will experience the local culture of the ethnic minority. Later you will take a walk by Rong Shan Lake Scenic Area (Sun & Moon Pagodas, Nine Turning Bridge and Ancient South City Gate). 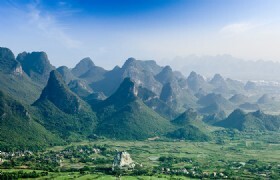 Yao Mountain lies in the east of Guilin. The highest peak is 903.3 meters high and which is the highest hill in Guilin, where you may have a bird’s-eye view of Guilin city, each season offers a different view. Liu Sanjie Grand Park or third sister Liu, is a famous Chinese folk song singer, she was beautiful and was an outstanding folk song singer of the Zhuang Nationality during the Tang Dynasty (618-907). This park was built in memory of her, where guests can enjoy local custom of Guangxi Zhuang minorities. Rong Shan Lake Scenic Area is located in city center and divided by its central north-south artery, Zhongshan Lu, in the east is Shan Hu (Fir Lake), on which a pair of pagodas has been built. With one silver and one gold, they are called the Sun and Moon Towers. Meanwhile, Rong Hu (Banyan Lake) is a good deal larger and has a number of attractions around its shores, including pavilions, statues, the quaint “Twin Bridges”, the ancient South Gate and 800 year-old Banyan tree after which take its name. 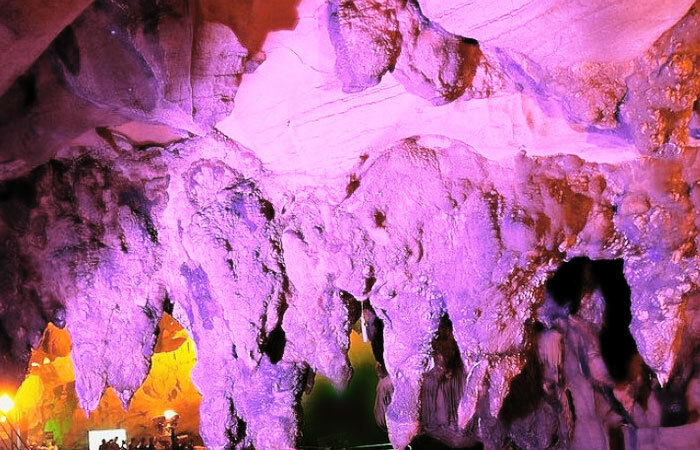 Detailed Itinerary: Today we will tour Crown Cave (including mini train) for sightseeing. 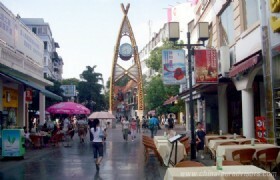 After you will be transferred back to Guilin for shopping at Zheng Yang Pedestrian Street. 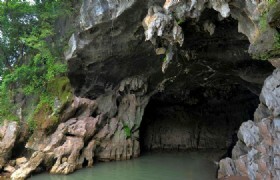 Crown Cave: Crown Cave is a cultural underground cave with a thousand years history. It use to be called “sweet rock” because the spring water in the cave is sweet, later because the mountain outside the cave is just like a crown, it was renamed to “Crown Cave”. 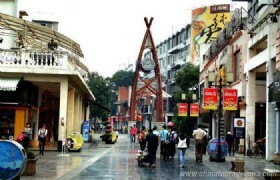 Zhengyang Pedestrian Street: Zhengyang Pedestrian Street is an ancient street with a history of over 1,000 years. It is surrounded by restaurants, bars, night clubs, hotels, fashion and shoes outlets, theatres, stadiums, commercial facilities and scenic spots. 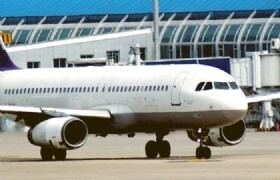 Detailed Itinerary: After breakfast at your hotel, your guide will transfer you to the airport for your flight home. Meals: 4 Halal lunches and 4 Halal dinners. 144 hour group visa to Guilin and Yangshuo for travelers from Malaysia, Thailand, Indonesia, Vietnam, Cambodia, Laos, Myanmar, Singapore, Burunie, Philippines. * Prices are in US dollars per person. Prices may vary according to your travel time and are higher in the high season, e.g. Chinese Spring Festival (18-24 Feb 2015).